As a business owner, you know the ins and outs of your field. Your customers choose you for your expertise, because they know you offer the best solutions to their problems. For many business owners, though, being an expert in the field isn't the same as being an expert in managing the financial health of your company. Managing the day-to-day bookkeeping can be enough of a hurdle for many business owners, much less analyzing business trends and drawing up a solid financial plan. 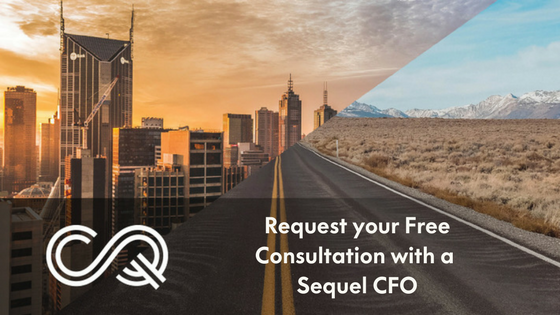 At Sequel CFO, we're the experts to the experts. As Melbourne's most innovative financial advisors, we have the experience and knowledge to deliver the in-depth financial insight you need to reach your business goals. CFOs are much more than bookkeepers or tax accountants – we offer financial control and transparency through cash flow management, business systems and intelligence, performance management reporting, and expert strategic advice. In this free financial consultation, discover what Sequel VCFO can do for you. We'll discuss what your business is doing currently, the challenges you've identified, and your business goals. Together, we can achieve the results you've been dreaming of. In this free consultation, we'll discuss your business as it is now, and where you'd like to take it.